Former and current staff members recall what life was like at the terminal before and after first oil. Marabelle Jack was initially employed by contractors GMG and Foster Wheeler during the terminal’s construction phase in the mid-1970s carrying out office admin, dealing with accommodation and transport bookings for workers. Living at Graven just near to the site, she experienced the growth of the terminal first hand before working for BP permanently until 2002. “In the early days there was no power and roads out to the site. We used to drive through the sea to go to work if it was high tide. “We had made a makeshift road from Graven along the shore and up to Calbeck. If you got picked up in the morning and it was high tide, the chances were you were half in the sea. So it was good to see it develop from that to what it became. “I was the first lady at Sullom Voe, as they used to say. It was a bit strange to begin with. Working on the site was mucky, muddy, messy – nothing could stay clean in the office. You just did your job, and I really loved it – it was one of the best jobs I ever did. “The Firth and Toft camps – there was no expense spared with the food. They were well looked after. Firth Camp was a really good atmosphere. There were three bars in the camp initially, and they always had stuff laid on – bingo, cabarets, films. There was nothing to fault. “You got to know the workers, and my mum also worked up at the camp as a chambermaid and some of them would pop in along for a tea of tea or whatever at night if they were passing by the house. There was the odd party too, yes, but it wasn’t a rave! “At Christmas time everybody went home, and you were organising sometimes maybe 14 flights a day, and sometimes we flew outwith Glasgow. If they had enough demand they would maybe go to Belfast. You were shifting about 6,000 men to go home for Christmas, and if the weather was bad it was an absolute nightmare. We were starting work at five in the morning, getting them ready. “I met my husband there. He came up to work as a barman at Firth Camp in ’77. We got married in 1983 and he stayed here until he passed away five years ago. I actually ended up working part-time in the bars in 1979 during the week if they had functions on. You’d get a lot of good tips [if you were a woman working in the bar]. The guys were nice, and we made a lot of family friends – we still hear from some of them. 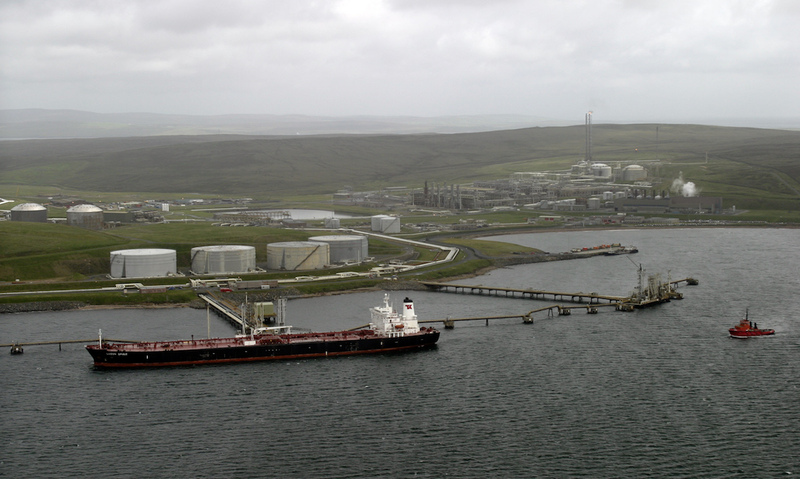 “I think maybe the older people were wary of it [the oil industry arriving in Shetland]. But you just got used with it, and it brought jobs. There was very little bother with the guys if they were at the pub. I think the younger ones took it better, and it’s been good for the younger ones. I think our age group came out best, because we were the right age at the right time. Linda Riddell was the first local person employed directly by BP, as opposed to a contractor on the construction site, in 1976. 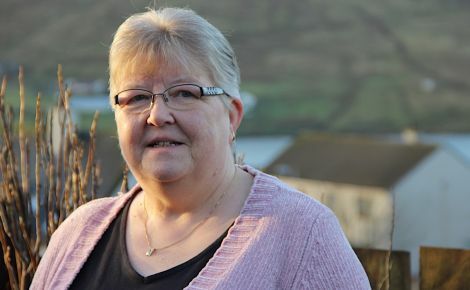 She worked out of BP’s Lerwick offices until 1979, with her roles including liaising with the council and the local community. After that she was based at the terminal and moved into HR, later becoming administration manager, before leaving in 2000. “We were based in a various places in Lerwick. Initially I was based in a leftover herring industry hut down at the North Ness, and then we moved out to the Norscot base for a bit. We had an office on Commercial Street at the foot of Reform Lane, and then after that we moved into offices above where the Tourist Office is now. “Our main job was liaising with the council and the local community. When I started I was the secretary to the person who was charge in the Lerwick office. His job was community affairs. A lot of my time was taken up by things like travel arrangements for people, accommodation and moving people from A to B. “I think there was a real mix of views [about the industry]. There was anxiety about what was going to happen to Shetland. But that was probably more so the case in the early 70s. By the late 70s I think people were probably feeling less threatened and were beginning to get used to things. “The big numbers of men who came up to work building the terminal where there by that time and resident in the construction camps, and I think people were more confident that they weren’t going to be submerged by those people who were coming up to work temporarily. “But it was all new, and nobody knew much about what was going to happen – it just happened, and people had to adapt. When you live through something like that, I wish now I had written down a lot more of it. Things were happening all the time, but you just had to get on with it, and it was just your life. “There was a big buzz around the place, and a lot of people left the jobs that they had been in and went to work in construction jobs, which paid a lot better than the kind of jobs that they worked in before. Sometimes that caused problems for local businesses, there was no question about that. Geoff Leask was one of 30 locals taken on as trainee operators in 1980, lasting 25 years at the terminal before going offshore. 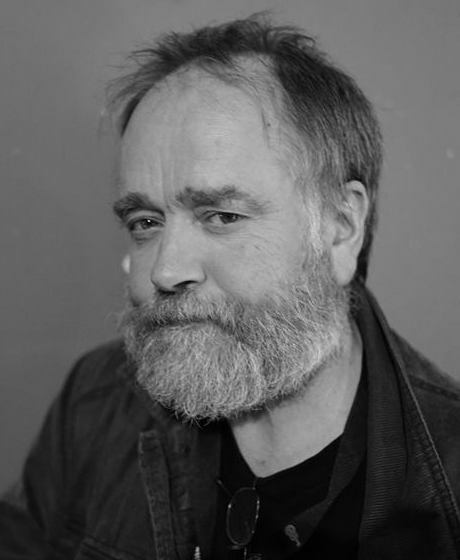 He still has copies of the ‘banned’ underground satirical newsletter Terminal Titbits and its successor Staneyhill Free Press, which was written between 1978 and 1990 by incoming staff member Bill Jardine to poke fun at life at Sullom Voe Terminal. 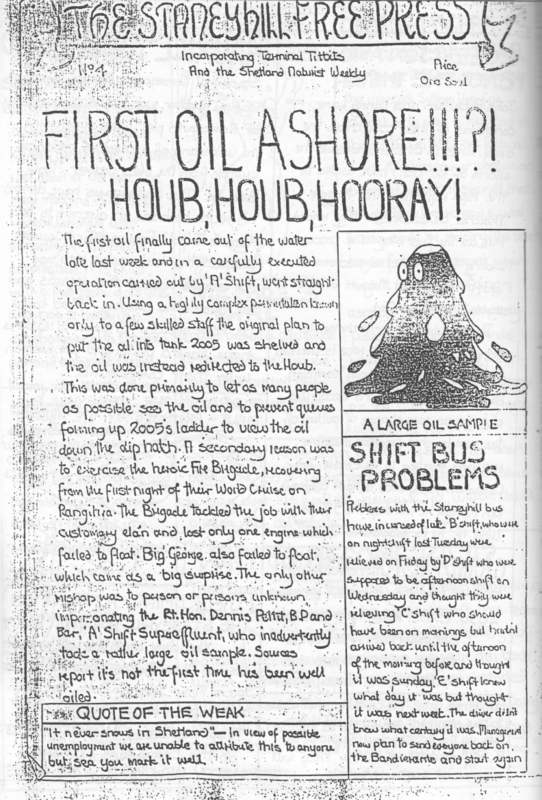 Issue No.4 of the Staneyhill Free Press refers to the moment first oil came ashore and due to an open valve some was spilled into The Houb. “Terminal Titbits was a newsletter put together making fun of the management. It was very satirical, and there were a lot of inside jokes. They were hand written originally to start with, with cartoons and that. They tried to ban it. “Because the management weren’t keen, they changed the name to the Staneyhill Free Press, as the guys that originally manned Sullom Voe were staying at Staney Hill camp out of the North Road. It went for 66 issues. “All proceeds went to charity so over the 12 years this underground publication was being published it raised lots for good causes. “Sullom Voe itself, all the folk that I know at the time that didn’t get direct jobs saw the benefit with all the places to work – bars, hotels, taxis. The place was buzzing. We saw a mini sort of boom of Total’s gas plant going up, but you can say it was ten times bigger than that. Stanley Robertson started working at Sullom Voe Terminal in March 1981 as a driver before becoming an operator. While he missed the first oil, he was in the thick of things during the peak output in the 1980s – and he’s still working there today as a coordinator for the Magnus enhanced oil recovery project. “When I first started I was a shift driver. I did that for about a year. You were supposed to keep all the vehicles in check – tyres, oil, make sure it had fuel, pick up and deliver samples. I think the most important thing was to get the newspapers, and god help you if one of them didn’t turn up. I also moved house for one of bosses – you got lots of varied jobs. “I put in to be a trainee operator about a year after that. 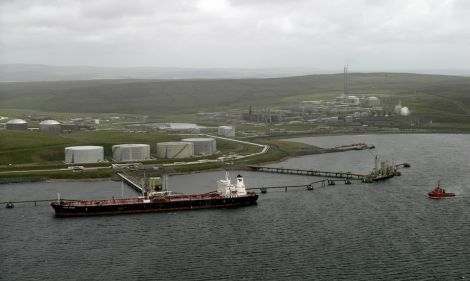 In the terminal there were three areas: the power station, offsites – which looked after crude storage and loading – and process, which looked after processing the gas, taking the gas out of the oil. “A tanker could come in the morning if it was a 12-hour shift and you could berth it, load it and sail it all within the shift, and now you’re probably lucky if you get maybe a tanker a week – sometimes longer than that. It was certainly flat out then. “The terminal was buzzing – there were maybe four tankers in on the jetty, there were a lot more folk on shift, so it felt a lot busier. What you’re left with now – you’re probably as busy, but there’s just no so many folk. “Over the years there’s been ups and downs. We were told we were probably guaranteed work until the year 2000. I think it will still be here in some form or another for a good few years to come, but there’ll no be as many folk involved. It’ll be a smaller, more leaner operation. Braer - 20 years on...could it happen again?